Cute winter outfits for college. Looking for ideas on how to dress up for college in cold weather? In winters it gets hard to stay away from the cold for school or college going kids. December and January are the coldest months of all. It becomes necessary for all the kids to do proper dressing in this cold season. Therefore, today we will talk about some winter outfits for college going girls. 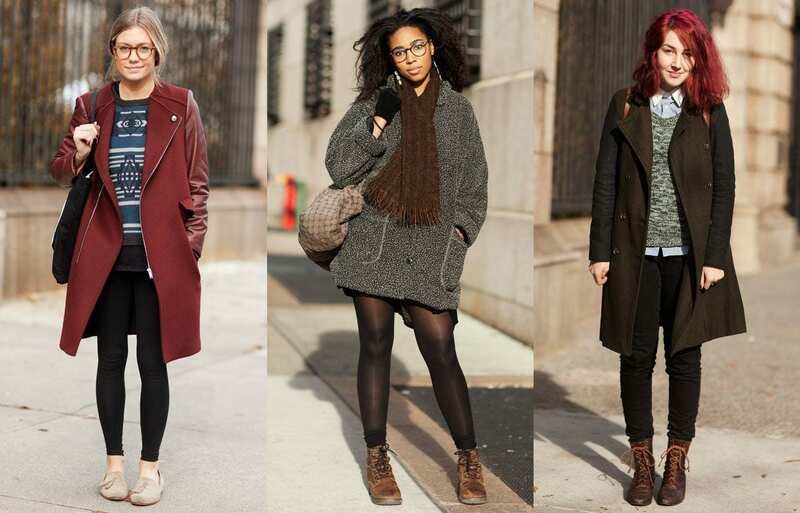 We have put together some of the favorite looks of the winter season for this year. For girls, it becomes essential to dress up well no matter where they are heading to. Many female college students take a lot of things into consideration when they go out. Especially when it comes to dressing. You need to add certain items to the wardrobe to look good. You need to spend time and choose what suits you the most. Scarves are very stylish and wearing them not just makes you look stylish, it also keeps you warm in cold. College going girls can wear them and around their neck or on their head. One of the best ways to dress up in winters is by adding your accessories. Printed and simple scarves are easily available in the market, but you need to have a good eye to choose the right one. When buying, look for materials which are likely to last long and designs which are unique. As for the color combination is concerned, one idea is to wear a baby pink coat with a matching scarf and finish it off with blue skin tight jeans and black leather gloves. We already discussed sweater styling ideas in our last post. You just can’t survive without wearing sweaters or coats in this winter season. Sweaters are the most shopped item in winters. You can wear sweaters over a shirt or over a short dress. It all depends on your choice. They are available in various designs and colors. You can check ombre sweaters as they are highly in trend these days, and you can easily rock them over any colored skin tight jeans. Accessories are the highlight of a woman’s outfit. If you keep the outfit simple, your accessories can add charm to the outfit. Whether they are hair accessories, bags or statement necklaces etc. They always play an important role in fashion. By adding few winter accessories like mufflers, stoles etc., you can completely transform your outfit. Also, it makes you gain the attention of people around you. Wear Uggs in college. Uggs are very comfortable and perfect choice for school and college girl. We already discussed 18 Ideas how to style uggs with different outfits so you can find the best combo for yourself. Another trendy way to look stunning in college is matching your outfit with combat boots. Perfect casual outfit combination for the winter season.check out 18 cute ways how to wear combat boots. Choose the right sunglasses that perfectly matches your face. Here are 14 best sunglasses for teen girls that you can wear in college and these are really trendy these days. Wear white beanie with white Pants. Winter Dressing Style Ideas for Highschool/college girls. Try wearing total contrasting colors to college. They will make you look more energized and well dressed. Try going for bright colors like deep red and white. Distressed white Denim with Converse. Boyfriend jeans with Long Boots. Here are 30 cute ways how you can style skirts in winters. Get the best idea for yourself. If you want to wear mini skirts to your college without looking out of place, then wear skin tight jeans or tights underneath your skirt. Ripped jeans are hands down the best invention for girls. The make you look funky, careless and elegant at the same time. If you are opting for a dress whose colors are quite plain and dull then keep your eye makeup game strong by wearing eye makeup of bold colors for example smoky eye using urban decay’s naked 2 palette. Stylish Jacket with a scarf. This outfit will look super cool in college. Just pair up a stylish loose jacket with skin tight jeans and a long scarf wrapped around your neck. Wear Animal print leggings with Ethnic shoes. Traditional printed shoes look so adorable if worn properly. To rock any traditional shoes that you have, wear them with leopard printed tights and a long neutral colored over coat. If you want to look like you are dressed casually to college then wear matching sweater and scarf along with any dark colored coat and skinny jeans. This outfit will make you look very sophisticated and well dressed at the same time. Wear a simple long coat on top of your tank tops, you can also close the front button of the coat if you want to hide the shirt that you are wearing underneath. Try to wear coats in popping bright colors to make sure that they catch all the attention. There are some great ideas. I particularly like the check shirt under sweater – might try that although definitely well past college age!! Love this post, nice inspiration! It makes me long for colder days again..
Great choice for winter clothes! Love the style.